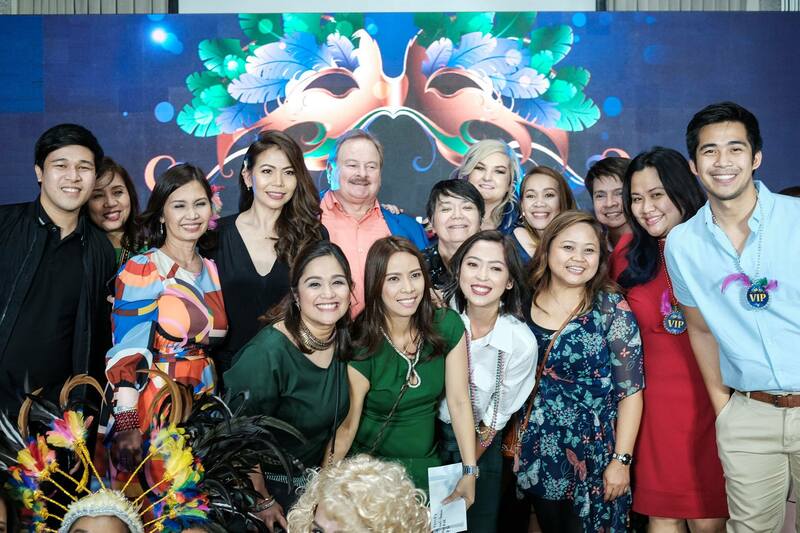 PASAY – David’s Salon successfully held the annual Seniors Night last January 22 and 23, 2019 at the Vikings Venue in Pasay City. 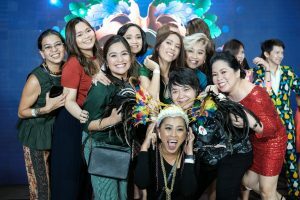 With over 1,000 attendees made up of senior stylists, partners, store personnel, and VIP guests from all over the Philippines, it is the biggest party of David’s Salon. 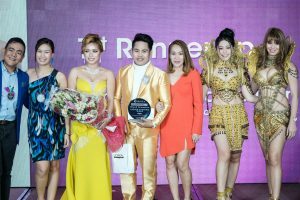 Highlights of the program were the Loyalty Awards, 2019 Hair Trends, Mr. David’s Speech, and the Digital Hair Show. Loyalty Awards were given to staff who have been with David’s Salon for 10, 15, 20, 25, 30, and 35 years. They were awarded plaques, certificates, and very special tokens of gratitude. The awardees were acknowledged for their service individually on stage by no less than Mr. David himself, as well as Ms. Malou Flores, Vice President of Human Resources, and Ms. Marivic Aguibiador, Vice President of Finance and Operations. After the awards, the buffet was opened. 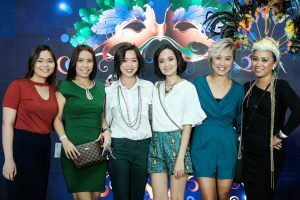 Guests indulged in the wide variety of food and drinks at Vikings Venue, and they enjoyed dinner while catching up with old friends and colleagues. The David’s Salon Hair Trends 2019 kicked off the evening program. It presented this year’s collection called Metallic Revolution. The trends were created by David’s Salon Academy in partnership with Affinage. The wearable, fun haircuts were colored with rich, glamorous tones, and amped up with colorful metallic streaks and highlights. Eight female models and four male models strut their hair styles for all the attendees to see, while garbed in their Edwin Uy couture creations. Comedian Bembem Espanto and Binibining Pilipinas 1st Runner-up Vickie Rushton hosted both nights. They welcomed the guests and formally opened the evening program. They awarded the Male Star of the Night, and then moved on to introduce the Digital Hair Show 2019. It was the first time the 20 finalists of the Digital Hair Show were presented live. 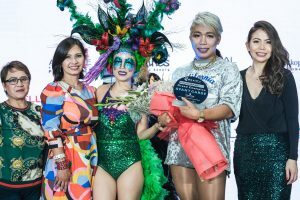 There were four categories – Men’s Cut and Color by Davines, Ladies Cut and Color by Affinage, Evening Wear by L’oreal, and Avant Garde by Schwarzkopft – with 5 finalists each. With the air thick with excitement and tension, the awarding of the Female Star of the Night was a welcome breather. After that, everyone settled down to listen to Mr. David’s annual Inspirational Message. 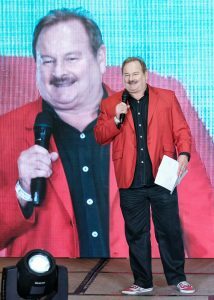 His theme was the Big Picture, saying that everyone is part of something bigger than themselves. He acknowledged everyone’s hard work, and noted the impact of one’s behavior – positive or negative – to the entire brand. All the hard work of the staff was recognized as Special Awards were given to the Top Earners, Most Improved staff, and Money Makers. Then, the final Star of the Night award – the LGBT Category – was awarded. 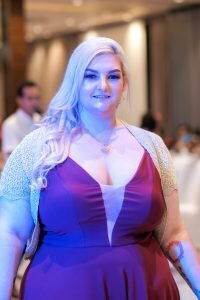 During the final night, the 2019 Digital Hair Show winners were announced. Everyone held their breath and waited eagerly for the announcement and in the end 12 major winners and 8 honorable mentions were announced. 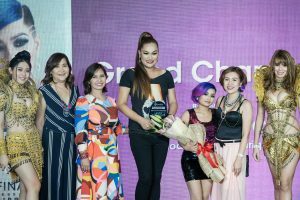 Representatives from L’oreal, Davines, Affinage, and Schwarzakopft joined Mr. David Charlton, Ms. Malou Flores, and Ms. Marivic Aguibiador on stage to award the Senior Stylists and the models. Senior’s Night is a very personal event for Mr. David, as it shows how deeply connected and concerned he is with everyone in David’s Salon. “I don’t get to see all of the staff that I used to before. There are too may salons to go around now, which is what I used to do. So that’s why we have the Senior’s Night, so I get to see everybody. It’s nice to talk to them, communicate with them. I enjoy meeting them all.” He wishes that everyone enjoyed the night and learned something, saying, “I hope you listened to what I say, and I hope they do enjoy the night, because it’s all about enjoying the night and getting together with everybody, seeing old friends from different salons. It’s supposed to be a fun night, with an underlying serious message I hope. Importantly, I hope they had a great time.